Playing a sport in the international stage can be a highly competitive and demanding job. There are millions on expectations riding on your shoulders, not to mention the pressure imposed by the fans on the field and your opposition. People forget that these athletes are only human, despite them drawing some super-human salaries. This is why it becomes extra hilarious when we see bloopers in sports. They humanize our heroes and help us get a good laugh. Bloopers don’t have to be one-sided though. Even the fans in the stadium tend to get caught up in the action and contribute to the hilarity. 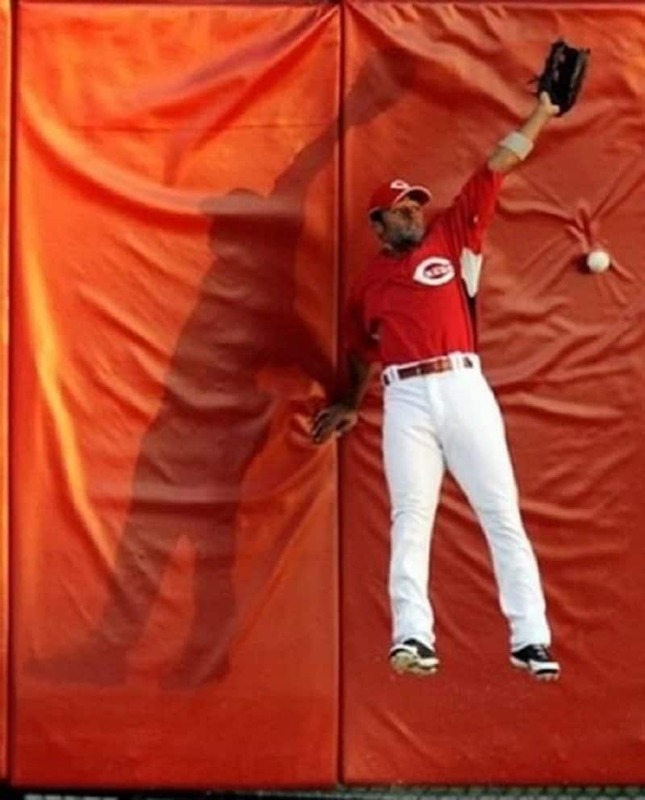 Here is a list of 10 pictures showing some funny baseball fails. This is exactly why you carry a glove to the field and you wear a cup, just in case. 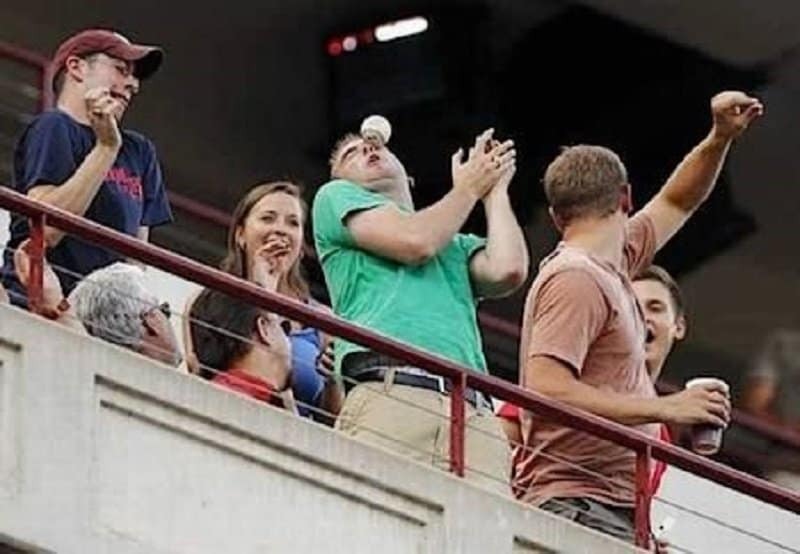 You never know what can happen when the ball starts flying into the stands. 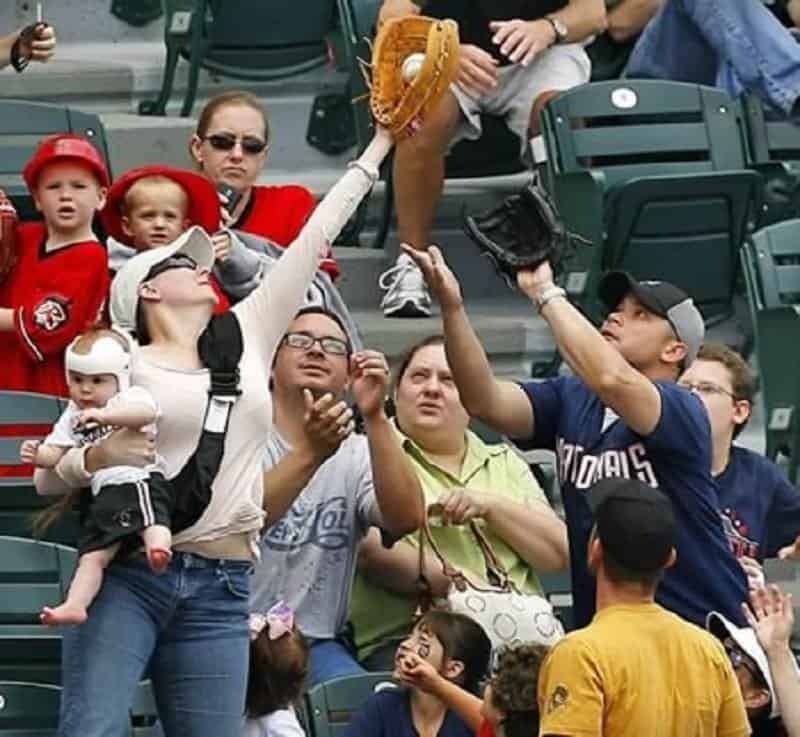 This mom didn’t just take the catch, she did it with one hand while carrying a baby. Now this is what you call a ‘Super mom’. 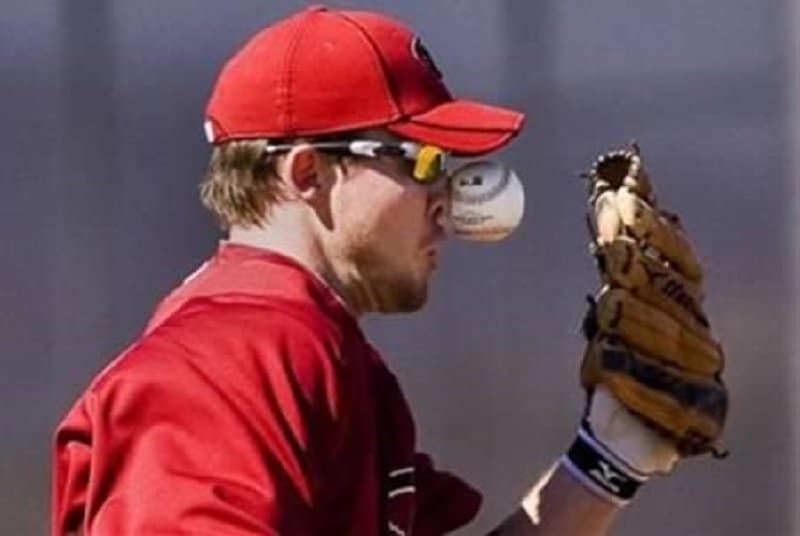 This catcher could have easily taken the catch if he had his eyes on the ball. Instead he decided to jump wildly and just stick his arm out, hoping for the best. 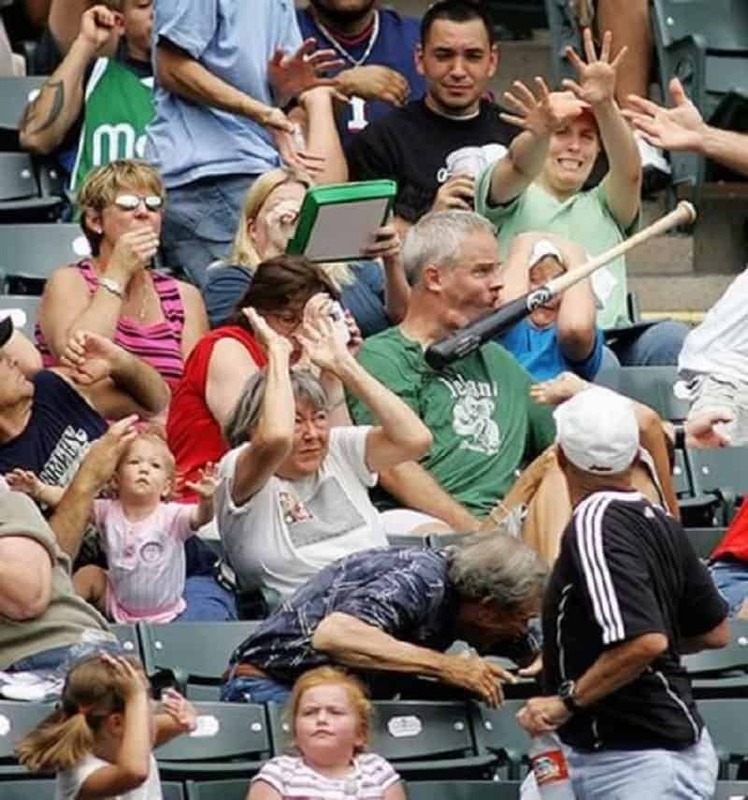 This picture could have been quite scarring if the bat was heading towards the child sitting two seats to the right of victim. 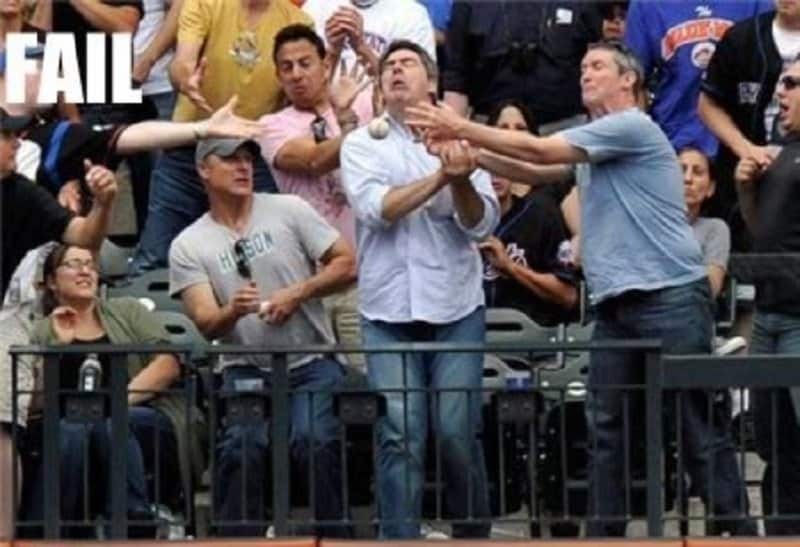 Instead it is just a funny picture of a fan getting hit with a baseball bat. These two men not only missed the ball entirely, but their collective fumbling and facial expressions make matters a whole lot worse for them. This catcher decided to go all the way to make the play, even if it meant heading into the stands. Sometimes in the battle between man and ball, the ball doesn’t just win, it manages to crush its opponent. 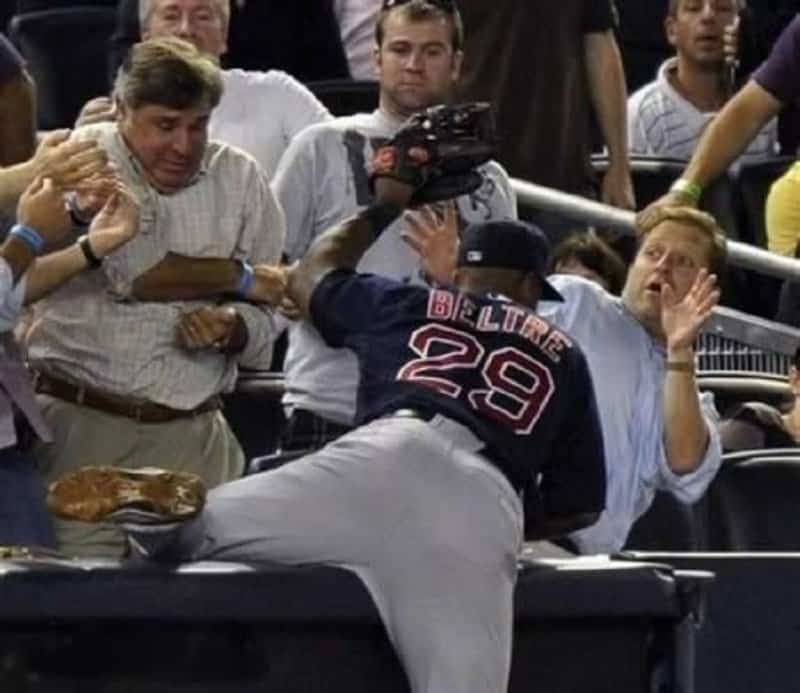 If this fan had his eye on the play, and he was applauding the home run, then how did he manage to get hit in the face? 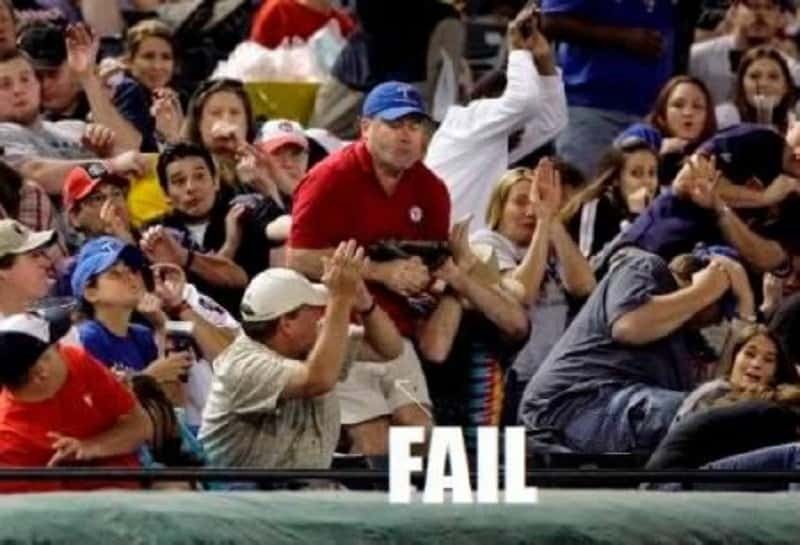 Did he not know that the ball actually travels into the crowd when its a home run? Don’t you just feel like climbing over a wall and just lying there when things don’t go your way? This fan was clearly rooting for the opposition. He wasn’t even going for the ball — he clearly just wanted to sock the player.